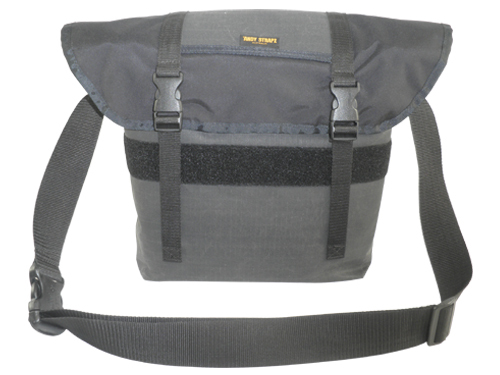 This is my favourite bag and it is the most versitile shoulder bag I've ever owned. 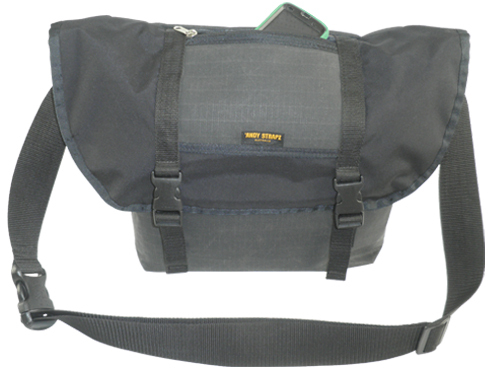 It's made from water proof cordura material with a strong adjustable strap and buckle (Fig. 1). 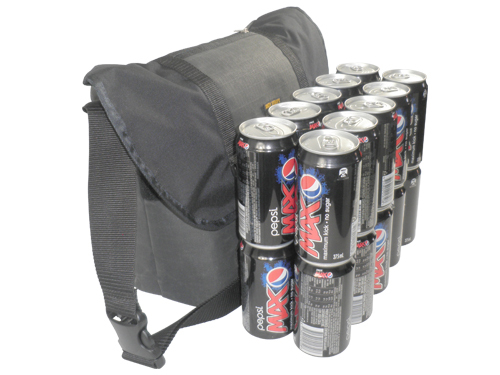 Able to carry up to 18 cans of your favourite beverage (Fig. 2). I've even used it as an esky! Adjustable strapz for lid to increase capacity (Fig. 3). Card/pass holder sewn into inside for quick access.